Larger tablets are suited to handle the heat that comes with running multiple applications at the same time. The larger screens make it easy to stream your favorite shows or surf the web while enjoying a bright, vivid display. These tablets are excellent for anyone who wants a lot of the features a regular PC may have but wants a more portable option. While they can’t completely replace your PC yet, they offer a lot in the way of performance. 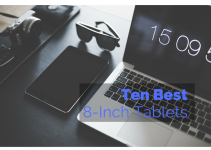 We’ve put together a list of the top ten best large-scale tablets available on the market today. Our buying guide will also give you a good idea what to look for when it comes to choosing your next large-scale tablet. When it comes to your tablet, there are a few core things you really want to watch for to ensure that you get the most of out your tablet. Your tablet’s battery life can vary greatly from brand to brand. If you do a lot of streaming or surfing, you’ll want a battery that can keep up with you that you won’t have to recharge constantly. On larger tablets, the battery life can range from six hours up to 13 or so on a single charge. Your tablet’s operating system will play a large roll in what you’re able to do and what you’re restricted from doing. Android, Windows, and iOS are the three main operating systems you’ll find on tablets. It’s a good idea to check what programs and apps will play on which operating system to ensure all of yours will work. Your tablet’s memory size is a large part of how fast your tablet is. A lot of tablets offer external memory boosts in the form of microSD cards, and this can help to speed up your tablet. Larger tablets usually offer more internal memory, and you’ll usually see between 16GB and 32GB offered. The tablet’s screen size and resolution are extremely important, especially on larger tablets. Obviously, the larger screen that your device has, the better you’ll be able to see when you stream your media. The screen’s resolution refers to the number of pixels your screen has, and the higher this number is, the greater details you’ll be able to see. 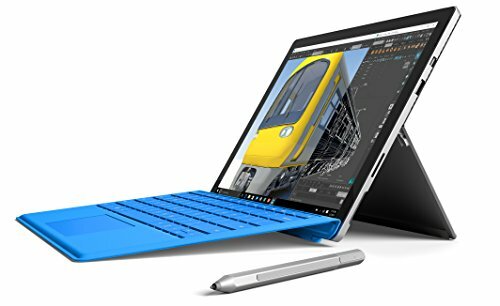 Microsoft’s Surface Pro tablet allows you to choose between several different RAM sizes to fully customize your experience. It has the 7th generation Intel Core i5 Processor for increased speeds and functionality. The battery will last you up to 13.5 hours on a single charge, so you can stream your favorite media or binge watch your shows. You can also personalize it with several accessories to suit your needs. 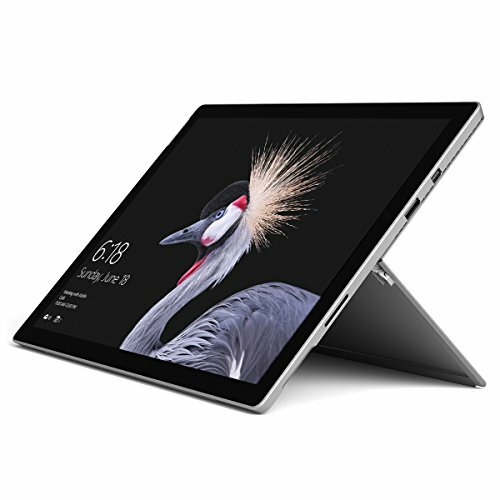 You can use three different modes including laptop mode with an adjustable Kickstand and keyboard, studio mode with a deeper hinge for greater screen tilting capabilities, or tablet mode for a powerful stand-alone tablet. This kit includes a modern surface arc mouse, surface dial, surface pen, and a surface pro signature type cover that functions as a keyboard. The large screen allows for a sleek user experience that gives you stunning colors and a sharp display. This ultra lightweight tablet sacrifices none of its power for the thinner and lightweight design it has. 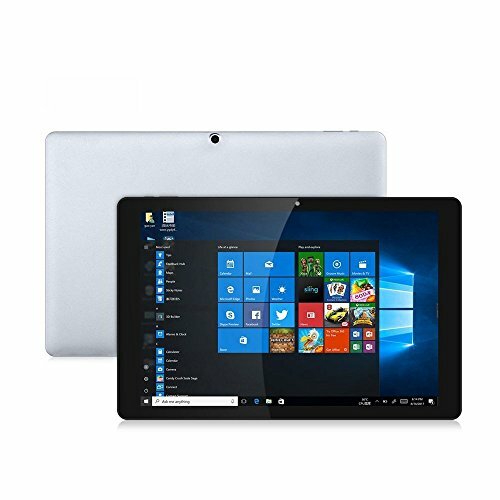 It has a large 12.3-inch screen that features a crystal-clear display and low glare technology so you can use this tablet in a variety of light conditions without a problem. The included stylus pen allows for pinpoint accuracy and a slick user experience that allows you to navigate around the tablet quickly and easily. You can switch from a tablet to a tablet PC with a snap-on keyboard. The kickstand allows you to set up this tablet for hands-free use, and you can adjust it to your perfect height. It runs on a Windows operating system, and it comes pre-loaded with several user-friendly applications. You get 6th Gen Intel Core m3, i5, and i7 processors for more power but with a quieter, cooler, and more efficient operation. 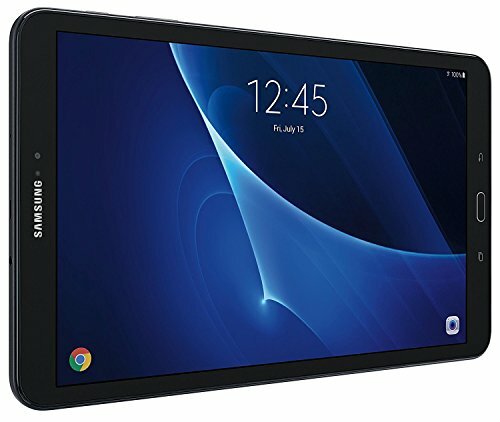 This tablet features a five-point 13.5-inch touch screen for an improved user experience. You get a 3000 by 2000 screen resolution for clear images and bold colors. You’ll also enjoy wide viewing angles due to ISP technology. 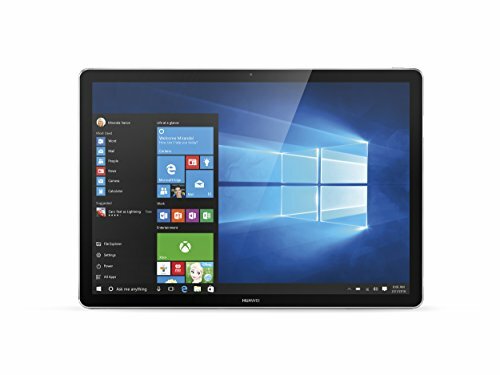 It operates on the Windows 10 Home 64-bit system, and this system brings back the popular start menu and improved user capabilities and speed. This tablet comes with 4GB LPDDR3 RAM that makes this tablet suitable for multitasking activities like running your games, photos, browser tabs, and applications all at one time. You’ll also enjoy 64GB ROM storage, and this gives you enough room to store tons of pictures, videos, music, and much more all in one convenient place. There is a MicroSD and HDMI slot, a headphone and microphone jack, TF card slot, and a Type C port. This tablet and PC combination comes with a bright 11.5-inch touchscreen with 1024 by 600 resolution for a bright, clear image. You get digital zoom, an auto focus function, and dual cameras with a 2MP rear camera and a 1MP webcam and microphone. Charging goes quickly, and you can get up to six hours of browsing or streaming time on a single charge. 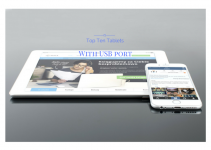 This tablet runs on Google Android 6.0 with an Intel Atom Quad-Core Processor 1.3GHz that is powerful enough to move through several apps quickly and efficiently. You get 1GB DDR3 RAM and 32GB of onboard storage memory that allows you to run various applications and save your photos or videos quickly and easily. Connect through Wi-Fi or Bluetooth and enjoy the included micro USB port, mini HDMI port, full-sized USB port, and the headphone and microphone jack. 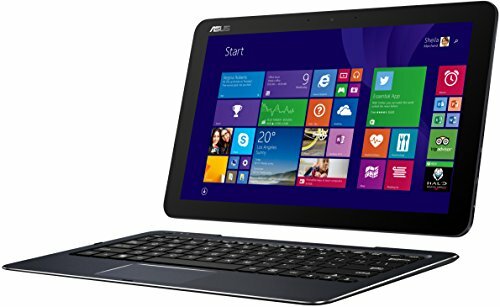 Users will enjoy ASUS TruVivid Display with IPS technology and Corning Concore Glass with this tablet and PC combination. It has a large 12.5-inch display and 1920 by 1080 resolution. You can take HD pictures with the 2MP user-facing camera as well. 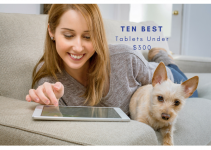 It is durable and features an all aluminum ultra slim design that makes it easy to use this tablet anywhere. You get the ASUS Active Stylus Pen with 256 pressure levels, and a powerful Intel Core M Processor with 4M shared L3 cache for a stable and functional system. There is 4GB RAM and one year of unlimited ASUS WebStorage. This tablet comes with a micro USB port, micro HDMI, a headphone and microphone combination jack, and a microSD card reader. You’ll enjoy eight hours of usage out of a single battery charge as well. Apple’s iPad Pro comes with a large and bright 12.9-Inch Retina Display that features a fingerprint-resistant Oleophobic coating. The True Tone display has a higher resolution at 2732 by 2048 that gives users a bright, vivid display. The Touch ID fingerprint sensor adds a layer of protection that keys this tablet directly to you for added security. You get a powerful 2.39GHz A10X Processor plus M10 Coprocessor with this tablet, and it comes with 4GB RAM and 256GB Flash Storage. This allows you to store your photos and download a variety of apps without lag. It comes with a rear-facing 12MP iSight camera and a front-facing 7MP FaceTime HD camera so you can take pictures and video chat quickly an easily. Choose from traditional Wi-Fi or 4G LTE and get up to 10 hours of surfing time out of a single charge. You get several screen sizes and packages to choose from with this Galaxy Book along with several GB options. 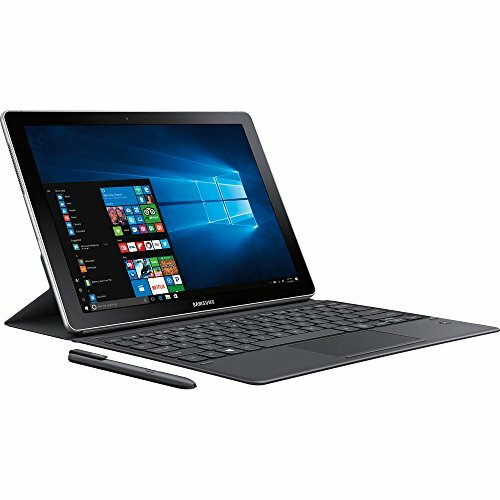 It comes with Samsung Flow, and this allows you to connect your tablet to your Samsung phone quickly and easily. You can share files wirelessly between the devices and get notification from third-party apps. You can use the responsive touchscreen or switch out to the keyboard for greater versatility. It comes with a powerful Intel Core i5 processor that allows you to increase productivity. You also get a responsive S Pen to help you navigate around your tablet with ease. Option adaptive fast charging can charge your device’s battery fully within three hours, and you get up to 11 hours of playback on a single charge. This compact and lightweight tablet weighs in at just 1.66 pounds, and this makes it easy to grab it on the go and take it anywhere. This sleek Samsung Galaxy tablet lets you choose from the 16GB bundle or the 32GB bundle so you can customize it to suit your needs. The 10.1-inch screen features a brilliant vibrant display and it comes with an 8MP rear camera and a 2MP front camera. A microSD card can quickly and easily expand your tablet’s memory up to 200GB for additional storage. This tablet features a powerful 1.6 GHz Exynos 7870 Octa-Core processor combined with the latest Android operating system. It can handle several processes and applications running at one time, and the platform is very stable. The Android 6.0 Marshmallow includes the tablet, a travel adapter, a bonus microSD card, quick start guide, and a micro USB cable. It can connect via Bluetooth, Wi-Fi, USB, or micro USB quickly and easily. This tablet weighs in at just 1.16 pounds. This tablet features a 2K touch screen display with a resolution of 2160 by 1440 for a next level viewing experience. You get an 84% screen-to-body ratio and exceptional security measures. You can set fingerprint authentication with the independent encrypted chip for additional security measures. It comes with complimentary one year of Office365 included as well as other software to streamline your user experience. It is equipped with a 7th Generation Intel Core i5 processor for additional power and speed. You’ll enjoy a full-size Folio Keyboard that comes with an automatic backlight and a new hinge design that allows the keyboard to connect to the tablet more securely. Adjust the angle up to 160 degrees for maximum comfort and flexibility. The Kickstand allows for a hands-free operation that is perfect for travel. This tablet weighs in at just 1.41 pounds, and it has surround sound speakers. The HP Envy has a large 15.6-inch screen that features Full HD and a IPS UWVA WLED-backlight. It also has a 1920 by 1080 resolution and the screen is also Stylus Capable. It runs on Windows, and it features Windows 10. It’s also has a 360 degree flip and fold design for added versatility. This powerful tablet has an FX 9800P Quad-Core processor combined with a 2.7GHz with turbo boost up to 3.6GHz for a fast user experience. You get three USB ports, 1 HDMI port, 1 LAN port, and an output/microphone combination port. It comes loaded with Bluetooth capabilities, Bang & Olufsen with dual speakers, media reader, backlit keyboard, and a webcam. The battery can support up to nine hours on a single charge, and it weighs less than five pounds for easy portability. Our buying guide along with our tablet reviews will give you a good starting point when you start looking for your new large-scale tablet. 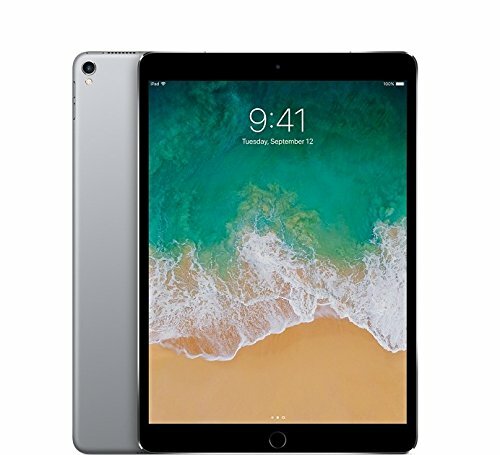 You can easily compare these tablets to find out which ones will work for you and which ones don’t have everything that you need. Also, we highlighted the core components you should focus on when you go tablet shopping. All of these things will help you make an informed decision, so you’ll be happy with your new tablet.